YOMI – A new kids drama for OKTO. We are in the midst of pre-production for YOMI, a kids television drama for okto (MediaCorp). This is a drama about an 11-year-old Mike (a.k.a Yomi*), who uses his imagination to envision the world as one huge gaming platform that he navigates through to succeed in reality! Completely absorbed in geekland, Yomi’s fantasy land has started seeping into his real life, to the point that everything he encounters becomes a gaming experience! 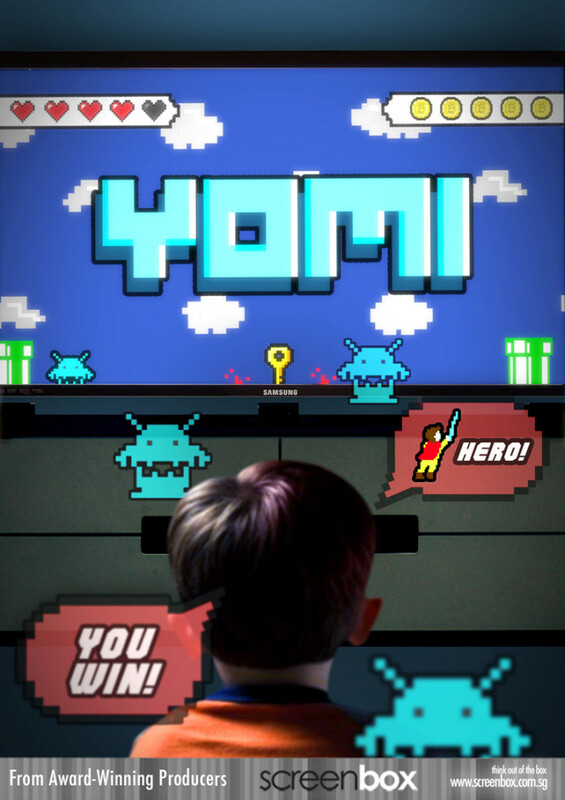 With a doting fanboy father and a strict no-nonsense mother who will take any opportunity to get him away from games and enjoy life like a normal kid, will Yomi level up in life and clear the stages of growing up? Or his over-fascination with video games lead to a game over screen?